How can I view my Location History? 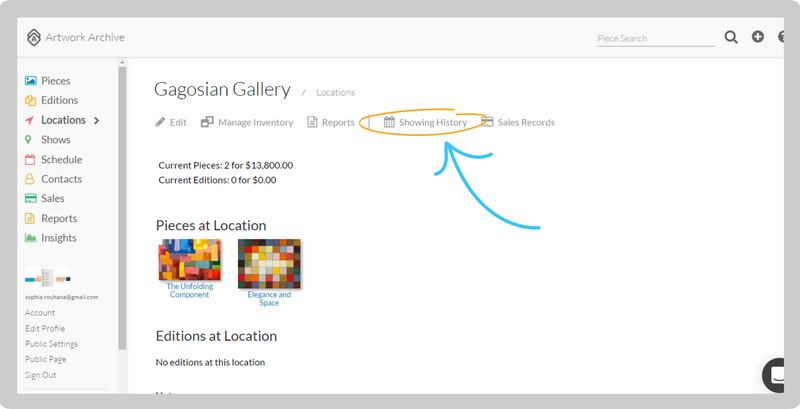 Location History tells you where your Pieces have been stored, exhibited, etc.. 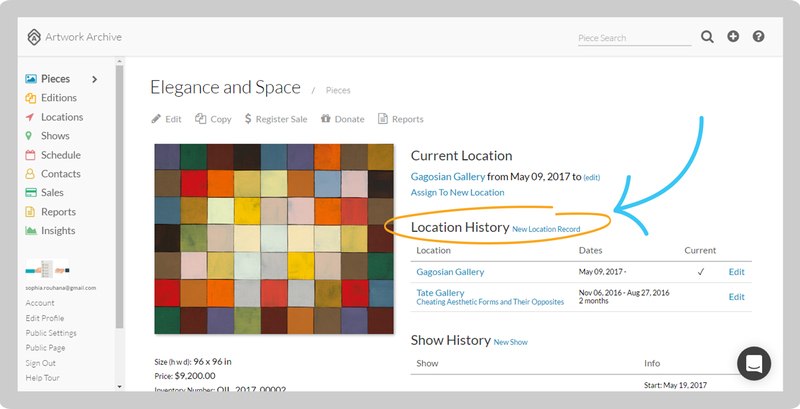 Location History logs where your Pieces have traveled and in what galleries and locations they have been exhibited. You can view your Location History from Pieces. This will show where your artwork has been. Or, you can view Location History from Locations. This will show what pieces have been at a particular Location. Click Pieces in the left-side menu. Click on the Piece for which you want to view the Location History. Location History is on the right-side of the page under Sale Info. Click on Locations in the left-side menu. Select the Location for which you want to view the history. Click the gray Showing History button. You’ll be able to see the current Pieces, the length of time each Piece resided at the Location, and what was sold at the Location.